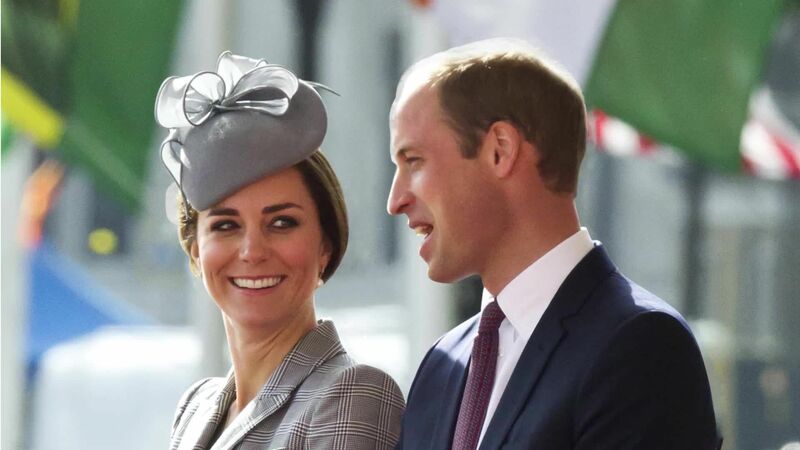 When it comes to wardrobe heroes, it's easy to see what Kate Middleton relies on: perfectly tailored, utterly sophisticated outerwear. The Duchess wears hers as others do sleek dresses, leaving them snugly fastened so they are the look. And because she's an ace re-wearer, she's found the world's easiest styling hack for making them appear new. It's a trick she's pulled out before, and she just gave us another example with today's outfit, picking the same green Sportmax coat she wore on Christmas Day for a quick trip to Scotland. Pretty, right? She finished it off with a skinny belt this go-around that wasn't needed to keep the coat closed or in place, but instead helped it feel more dress-like than, well, a coat (important if, like Kate, you're planning on keeping the piece on through an entire event). When the topper came out to play for Christmas it was finished with a totally different belt: a thick, croc-like style that matched the coat's forest green hue. The thin belt we saw today looks like the one that came with the coat (see it here), which means it was the December look that really had Kate thinking outside of the box. Kate pulled the same trick with this L.K. Bennett coat (don't let the different lighting fool you). When she wore it earlier this month it was with the original belt that came with it, but for a 2011 trip to Denmark it was paired with a statement belt, creating a chic, bespoke feel. To try the trick IRL, work with what you've got: Pull out any lightweight, nonbulky coats and whatever classic belts you've got stashed in the closet. Try likes with likes, buckling your more casual belts on with weekend-ready coats (like a leather number with your favorite parka); cinch ladylike jackets with prim styles. The accessory's magic powers work for warmer weather too, when you can switch up the feel of any of your dresses by finishing with a different belt. Psst—want a sneak-peek at the outfit Kate picked for under her coat today? While it's true that the Duchess typically leaves her outerwear done up, never revealing a look at her actual outfit, we got a little glimpse when she exited her car. It seems like her black turtleneck sweater was tucked into a black and white knee-length houndstooth skirt. Preppy princess! One of our all-time favorites, this Jenny Packham gown she wore in 2012 is just perfection. Her custom-made Jenny Packham frock for showing off newborn Prince George was simple, pretty and just right. Duh, a list of her best looks couldn't possibly exclude her Sarah Burton for Alexander McQueen wedding gown! Kate looked so beautiful in plum on Christmas Day 2016, holding little Charlotte in her Hobbs coat. Kate's white eyelet Zimmermann dress was one of our favorite looks of the royal tour to Australia and New Zealand. We know Kate loves lace (and so do we) so we were big fans of this Erdem dress with lace-accented shoulders. We loved her canary yellow Jenny Packham dress, even if the wind at the Calgary International Airport sought to fight with it! During her first pregnancy Kate was radiant in polka dots -- plus the dress is from Topshop, so it's even better! We love when Kate switches it up, and this Aquazarra dress she wore to a school visit in 2016 is absolutely gorgeous. Kate looked lovely at the BAFTA awards in Sarah Burton for Alexander McQueen. One of everyone's favorite dresses, Kate wore Issa for the couple's engagement photos. While visiting New York City in 2015, Kate looked glamorous in Jenny Packham. This military-style ensemble by Alexander McQueen is one of our favorites. Kate attended a film premiere in this gorgeous dress by Matthew Williamson, and the designer added the embellishment along the neckline just for her. Kate looked pretty as can be in this coatdress by Jesire. Shortly before welcoming baby George, Kate wore a custom dress and jacket by Jenny Packham to the Queen's Coronation celebration. During a visit to Scotland, Kate shined in a vibrant blue Christopher Kane coat. 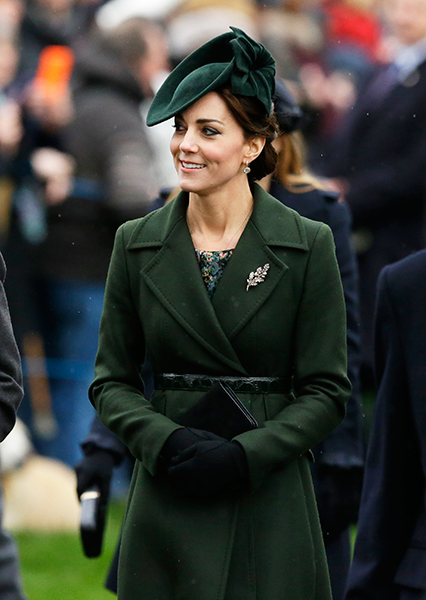 Kate's emerald Emilia Wickstead coatdress is gorgeous - and perfect for St. Patricks day. Kate looked lovely in floral Erdem. This Emilia Wickstead dress that Kate wore during the royal tour of Australia and New Zealand was delightfully bright. We were so bummed to know this primrose lace dress is by an independent designer, because we want it! Kate looked perfect in Alexander McQueen for George's christening. One of Kate's favorite dresses (and one of ours!) she has worn this Temperley London gown a few times. Kate looked every bit the Princess in this custom creation by Jenny Packham. The Duchess is stunning in this emerald dress by the brand Mulberry. This slate blue-gray coat by Alexander McQueen is gorgeous, an elegant look for Easter mass in Australia. And duh, wedding dress part 2! Kate's powder blue Emilia Wickstead dress was this editor's favorite maternity look. We're obsessed with this Alexander McQueen piece -- Kate looks fierce! The best part about this Orla Kiely dress is that the pattern is small birds! Too cute. Kate had a very colorful pregnancy, here in a bespoke coat by Mulberry. Kate stunned at SportsBall in Temperley London. Kate may have worn her belt upside-down on this MaxMara coat, but we still loved it. It's easy to look fashionable in thousand dollar dresses, but the Duchess can dress down, too! Alexander McQueen, of course. And isn't this coat amazing? The Duchess looked pretty in a grey shift dress by Roksanda Ilincic. Duchess Kate dazzled in a glittering Jenny Packham number at the Royal Variety Performance at the Palladium Theatre.